I Can Read Simple Sentences (Set 2)! 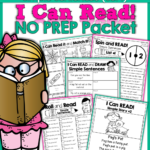 I am so happy to have finally finished our I Can Read Simple Sentences NO PREP (Set 2) Packet! This packet was a labor of love and took a lot longer than I would have thought, but I am absolutely THRILLED with the end result! 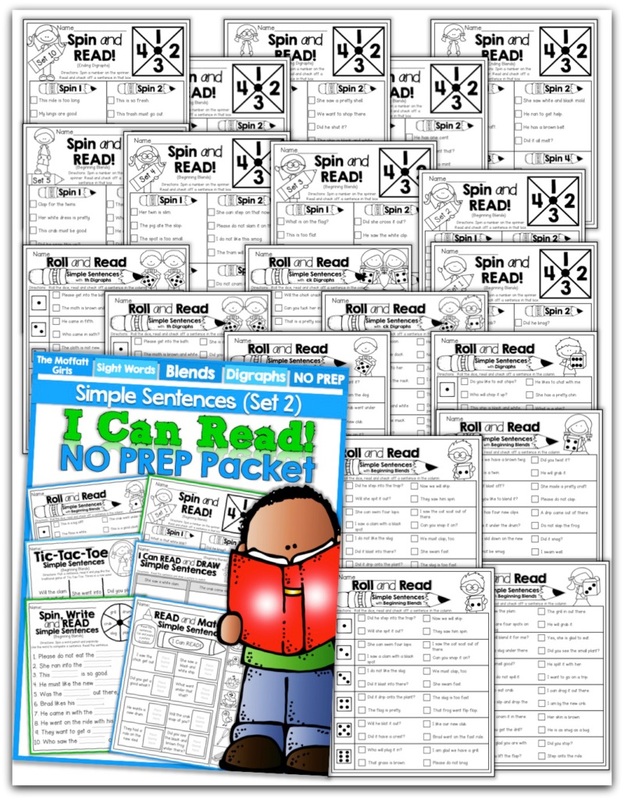 I wanted to make a packet that would successfully follow I Can Read Simple Sentences NO PREP Set 1 in a cohesive manner. 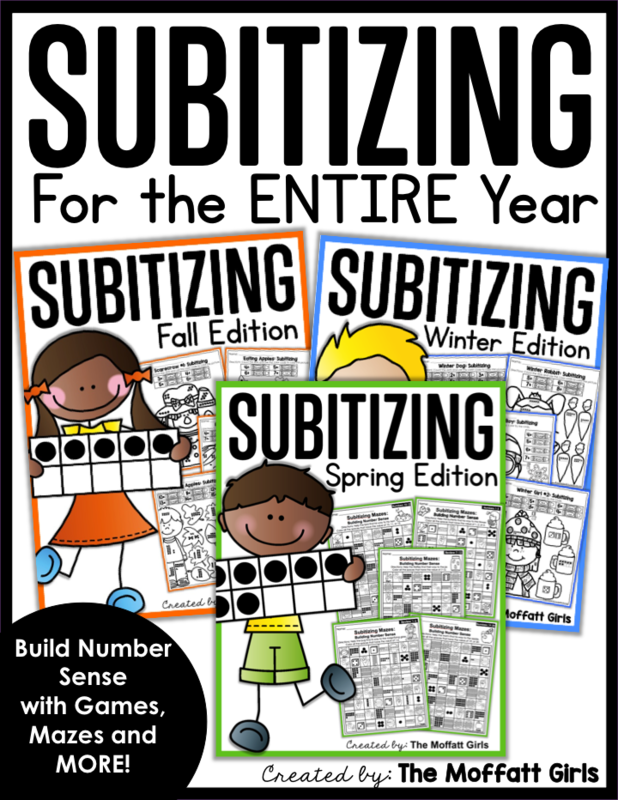 This packet is perfect for early readers who have mastered simple CVC words and/or struggling readers who need extra practice with blends and digraphs. 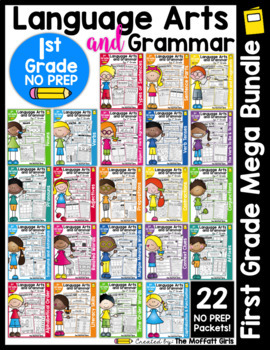 I Can Read Simple Sentences Set 2 works with blends, digraphs and primer sight words. The words and sentences in this packet have been carefully chosen to help build both CONFIDENCE and FLUECY. 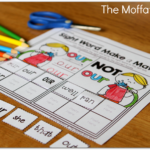 Each blend and digraph has short vowel sounds to help students confidently progress from simple CVC words (short vowels) to blends and digraphs with short vowel words. 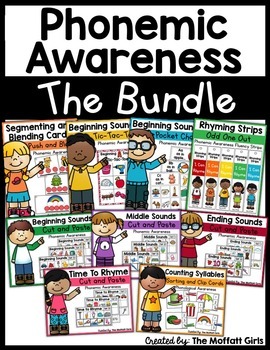 Set 3 (coming soon) will include long vowels and also incorporate the blends and digraphs, which allows students to bring it all together one step at a time. 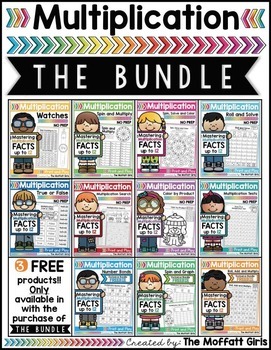 There are over 500 DIFFERENT simple sentences in this packet! 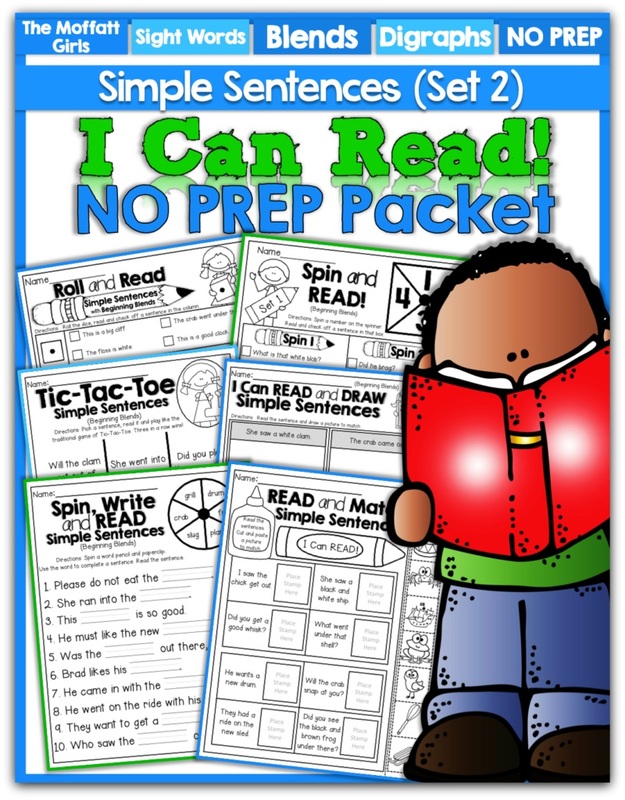 I Can Read Simple Sentences NO PREP (Set 2) Packet! 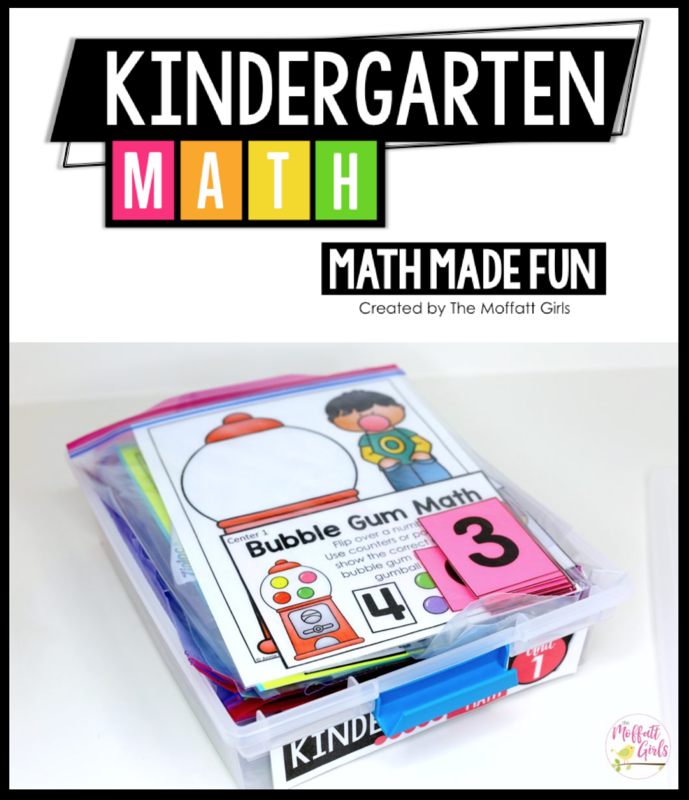 An interactive and FUN game kids will love! Roll a die, read and check off a sentence in the corresponding row. 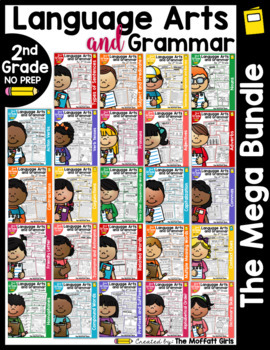 Each page has a total of 24 different sentences. Kids will love spinning the spinner with a paperclip and pencil and reading a sentence from the corresponding section. 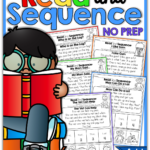 Reading becomes a GAME, not just mundane practice! This game can also be played with a partner or individually. There are a total of 16 different sentences on each page. Played just like the traditional game, but with simple sentences on each space. 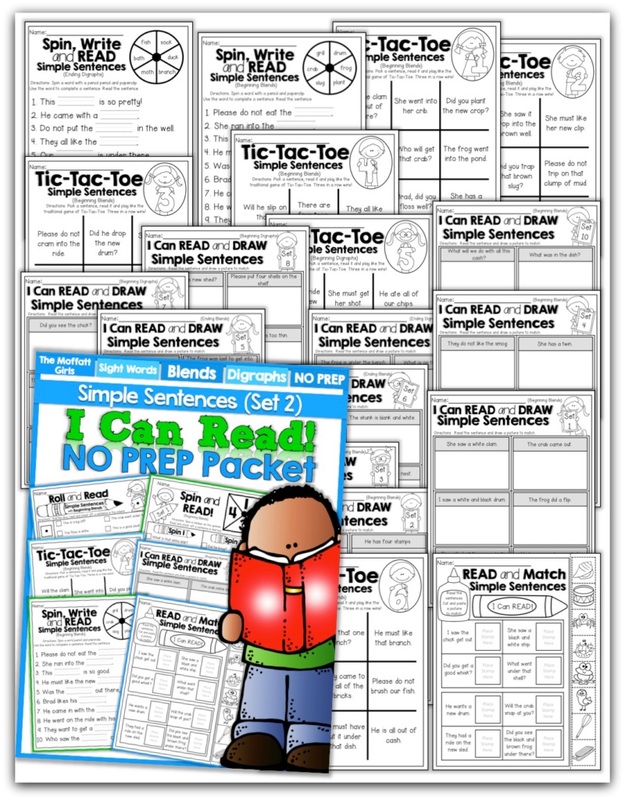 Put them in a sheet protector, give kids a dry erase maker and you have a FUN way to practice reading simple sentences! There are 9 unique sentences on each page. 1 Page of cut and paste the picture to match the simple sentence! Kids will love spinning the spinner, reading and using a word from the spinner to complete a sentence on the page. There are a total of 20 unique sentences (2 pages). 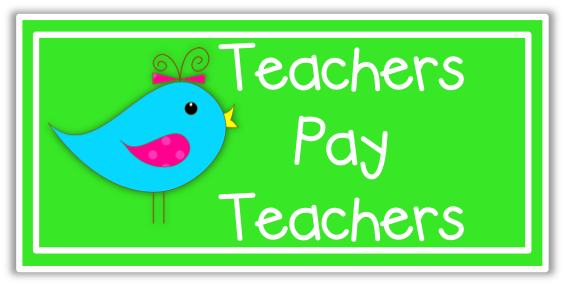 I Can Read Simple Sentences NO PREP (Set 1 ), which works with pre-primer sight words and simple CVC words. 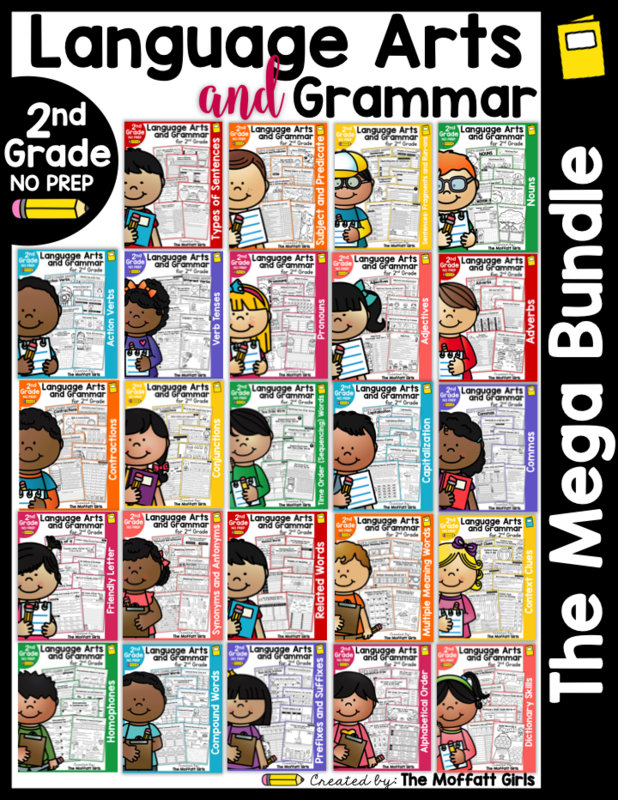 I Can Read Simple Sentences Set 1 NO PREP Packet! 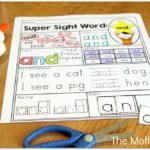 Sight Word Make a Match!